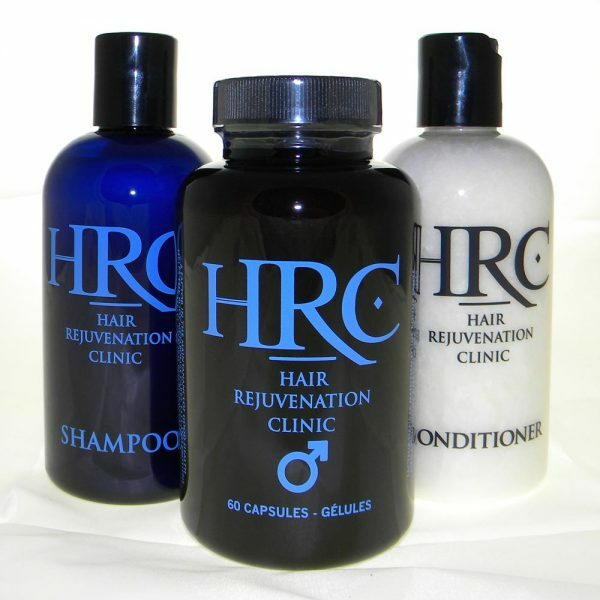 HRC vitamins provides all the nutrients needed for healthy strong hair growth as well as helps to neutralize the process in your body that causes hair loss. The vitamins combat hair loss and thinning hair with a nutritional approach. A natural blend that supports hair regrowth from the inside-out. The benefit is stronger, thicker, healthier hair. Our vitamins were developed to deliver vital nutrients to nourish the scalp – to strengthen thin lifeless hair and to help restore shine and fullness. Gender-specific formulas are safe and effective. HRC Vitamins are Health Canada Approved as a natural supplement. Recommended dosage, 1 – 2 capsules a day. Each bottle comes with 60 capsules.